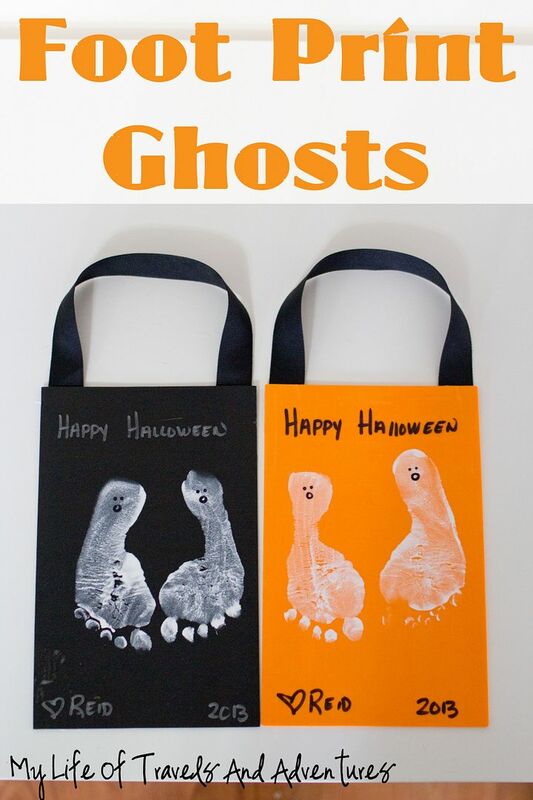 Last year for Halloween, we made these foot print ghosts for the Grandparents. They were such a hit that we made them again this year. I repeated the same process this year again. Distract: I found that it works best if we strap the little guy into his high chair and offer up some soft of distraction. Last year he chowed down on cheerios. This year, he painted a foam rectangle with yogurt, a paint brush and a spoon. Whatever works. 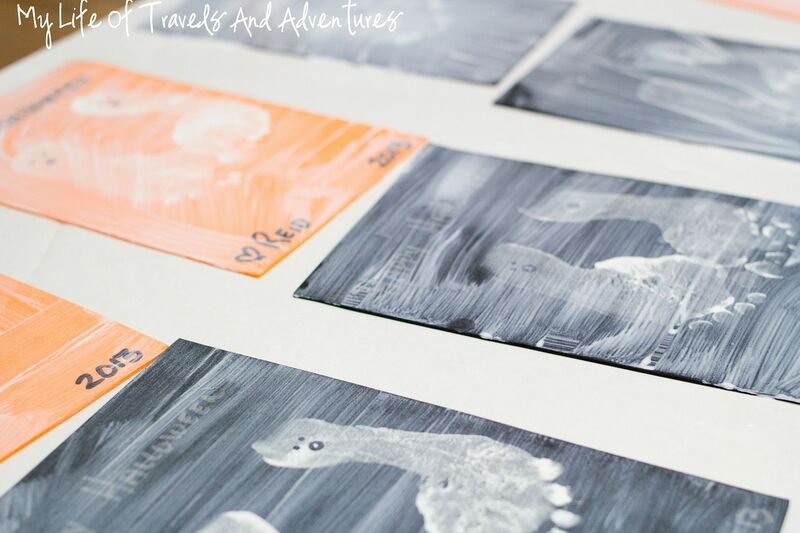 Paint & Stamp: I painted one foot white, while Neil held his ankle. 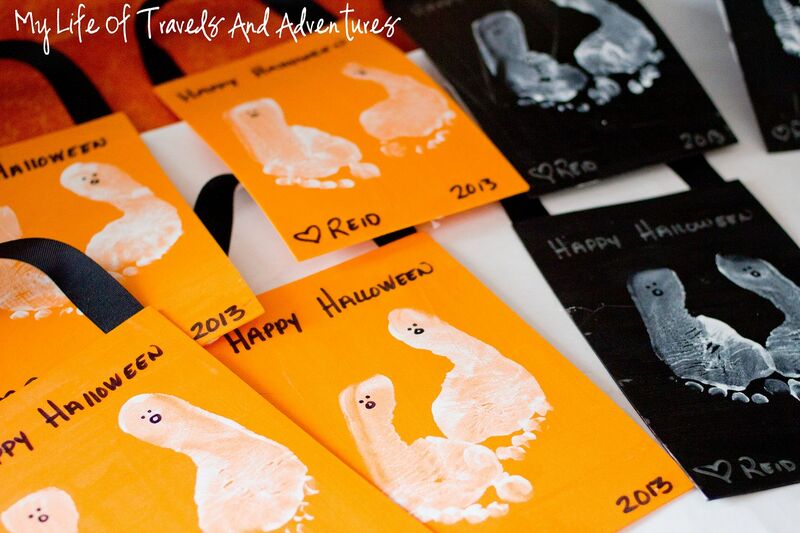 Then just stamped Reid's foot print on each sheet of foam. It worked best holding the foam against a book for support. Repeat: Once his one foot was stamped on all the foam then we repeated with the other foot. Apply a thin layer of modge podge to the entire foam. 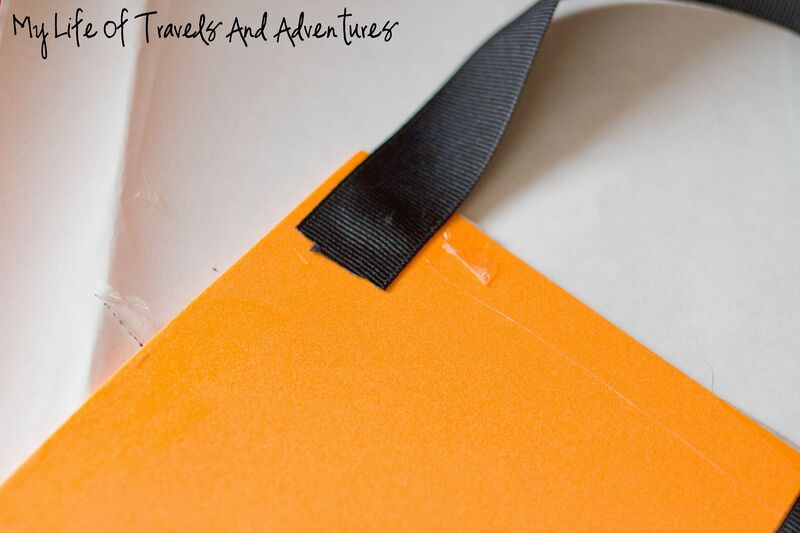 This will keep the foot print in tack (otherwise they can be wiped off with some water). Glue ribbon on the back to display. 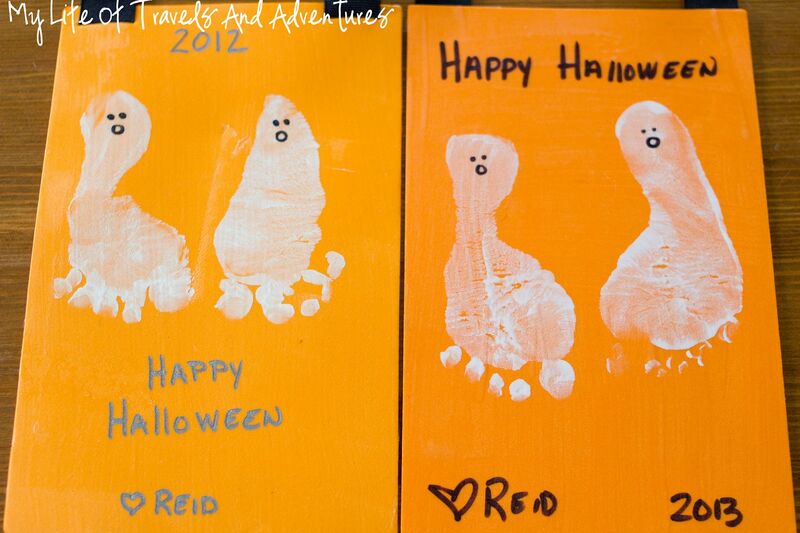 Here is Reid's foot print ghosts from 2012 and those from this year. Ah. Tiny feet! So cute! Love the idea to give these to grandparents! we did something similar but did a smell my feet kind of thing. but now I want to do them for grandparents!